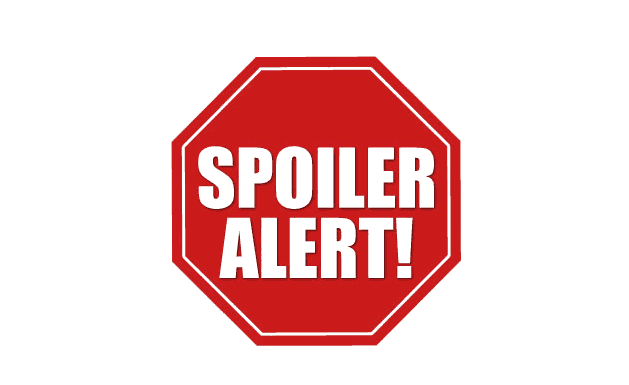 Odeniran Deborah Olamide: Spoiler Alert! I was able to retrieve few of my writeups, they are like gold to me..... Im gonna share some of them here. 1. Movie Spoilers : These category of people will advise you to watch a particular movie, send it to your phone or laptop and perhaps, stay with you while watching(that's a good move, right? ). The next thing they'd do(which i feel is a bad move) is start explaining the next scene, or tell you to take note of this particular scene cos you might need to flash back later. The worst of all is when they spill what would happen at the end of the movie, even when its so suspense filled. Why advise me to watch the movie when you can just sit me down and explain it all?. I fall in this category(at times) and most times when I can't deal with the suspense, I ask what's next. 2. Personality Spoilers: These are the back biters, the badbelles in friends clothings. The kinda people you should never have something to do with. They would act as friends but out of spite, ruin your image. These are the kinda people that should be waved to from afar. 3. Material Spoilers: These are most annoying set of people who care less about how expensive your wears, shoes or handbags are let alone get bothered about how much you cherish it. Personally, my Clothes and bags could be shared but my shoes! Is a No! No!. This is because everyone has diff size of feet. The fact that I use size 39 and you use same size doesn't mean my shoe can fit into your feet. Most people ignore all these and just dip their fat sized feet into a slim sized shoe which would either widen the shoe and perhaps not size the owner. Same thing is applicable to our personal make up products, sponge , soap and all. 4. Gist Spoilers: This is similar to the movie spoilers. As a lady who hates being stale and likes amebor, there are diff ways of giving gist(that I know). Its either you drop the main topic and create a suspense before you explain the real story (which I hate but like ) or just drop the whole gist in a sentence and walk away. Then expect your audience to answer the questions themselves. That's very wicked LOL cos most of us do it and just hide the main gist. 5. Suspense/ Surprise Spoilers: Words are like eggs, once broken, it cant be replaced back. imagine your friend's boyfriend planned a surprise party for your friend (of which you know how happy your friend will be). Only for you to open your big mouth and unconsciously drop the gist. Ah! I will be happy o but I'd kill that friend for spoiling my surprise. 6. Party Spoilers : People in these categories are the ones you'd pray and fast days before your Ddaynot to have an encounter with. The ones who Springs up unnecessary fight, they are the ones who don't find it hard to smash bottles on the ground. These are the Albero kinda spoilers aka Party spoilers. There are a thousand categories of spoilers out there and I'm sure some of us Fall into at least one or more than one group. You could drop your comments stating other categories. I would say I am a movie spoiler, So where do you belong? Movies, send movies to you? You will have to pull my hair because I am so lazy in that. As for the rest.... not me.